If you’re a millennial beer lover (or heck, a beer lover of any age!) then you know Untappd. In this app, beer drinkers can check-in, review, and share pictures of the beer they’ve got in front of them. Simply put, Untappd is the social media platform for beer. Co-Founders Tim Mather and Greg Avola had never met before they found one another on Twitter, and while they created the app assuming only a handful of their friends would give it a shot, Untappd now has well over 8 million users. 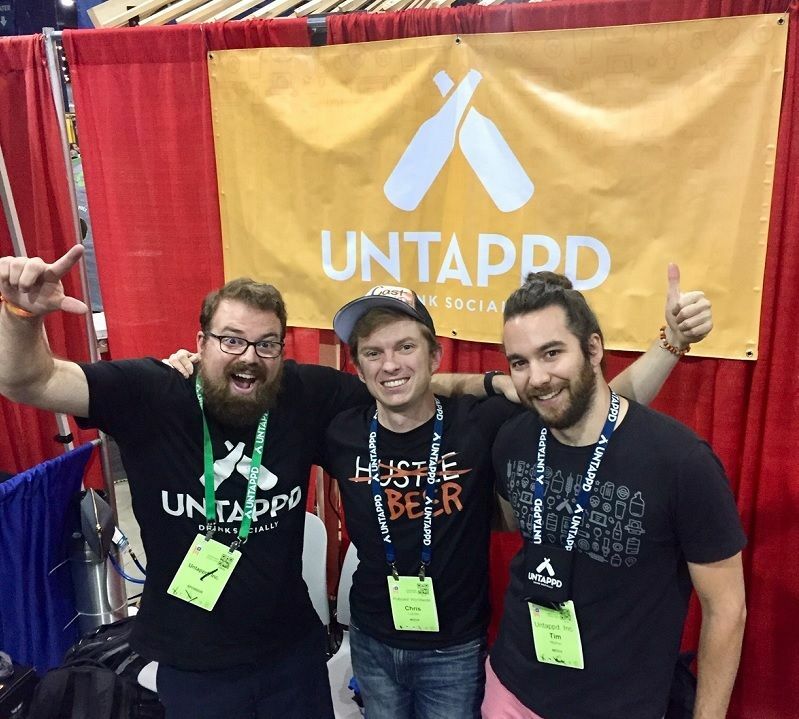 I met up with Greg and Tim in the middle of this year’s Great American Beer Festival in Denver, and amidst all of the beer-fueled chaos, they were able to share the story behind Untappd’s growth and the lessons learned (and beers consumed) along the way. Commonly known as GABF, the Great American Beer Festival is the largest beer festival in North America. Having grown to over 800 breweries and 4,000 different beers in 2018, the main event features 4-hour long tasting sessions inside the Colorado Convention Center over a 3-day period. In reality though, it’s a city-wide celebration of beer that consumes the greater Denver area for a long weekend of tap takeovers, brewery tours, and other mini-beer festivals. If you’re planning to attend in the future, make sure to check out the GABF Beginner’s Guide we created for this year’s event. Headquartered in Wilmington, NC, Untappd now has over 100 employees. Ultimately, the company runs remotely, so much so that Tim and Greg have only hung out in-person about 10 times in their entire lives. Untappd’s success was relatively unintended. Greg and Tim created it to scratch their own itch while they were getting into craft beer, and only expected maybe 10 of their friends (at most) to use it along with them. The intention of Untappd is to encourage people to explore new brews and styles, not to serve as a ranking system to promote or ravage specific beers. Greg and Tim swap drinking stories about Greg’s misadventures in L.A. traffic, and the early days of starting Untappd in the basement of Greg’s parents’ house in Boston. Untappd – Make sure to download the Untappd app so that you too can enhance your beer drinking / sharing experience. Post pictures of your beverages, rate and describe your favorite brews, and connect with fellow friends and beer nerds to earn badges as you explore the wide world of craft beer. 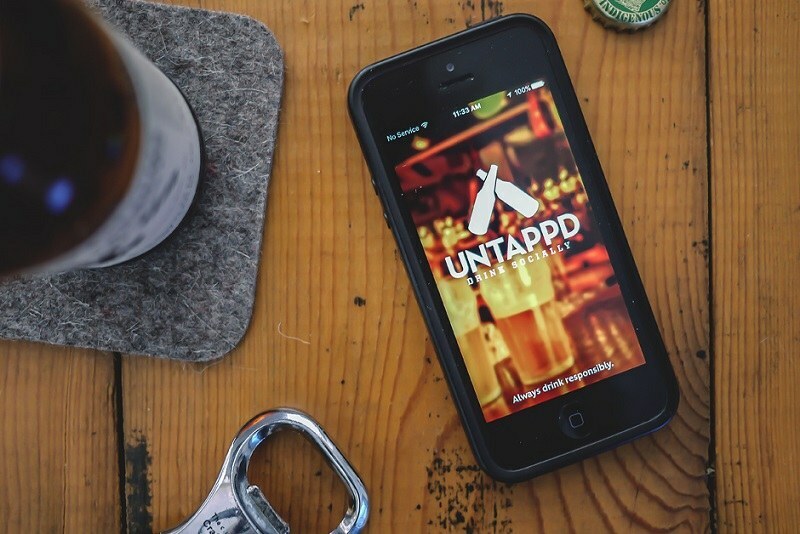 You can find @Untappd across social media on Twitter, Instagram, and Facebook. You can connect with Tim and Greg on Twitter at @timm3h and @gregavola respectively. Beer Cap Maps are the makers of the original decorative bottle cap map. Make sure to hear more about their story in Episode 5 (featuring co-founders Jesse Darley and Steve Lapham) and listen to this GABF episode for an exclusive deal for Pubcast listeners.